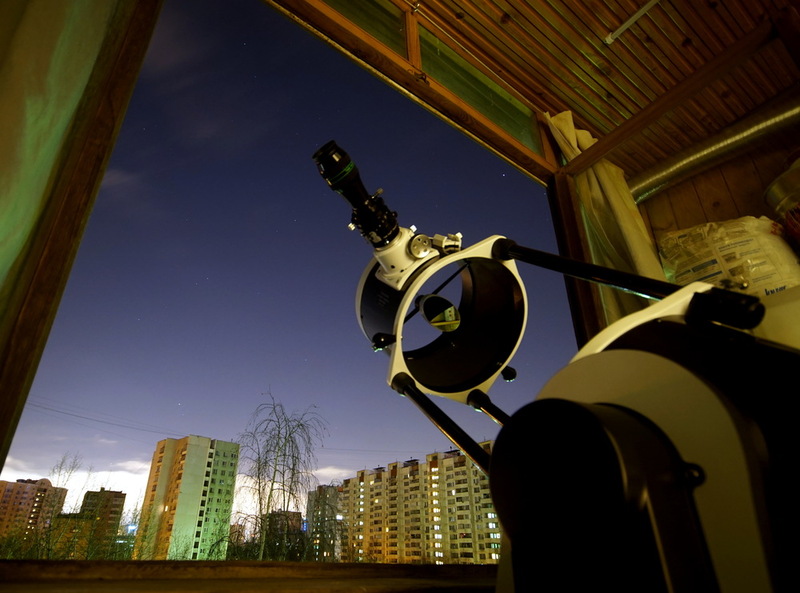 For quite some time I wanted to buy a telescope - but it was nowhere to store it in rented apartment. Here is my previous attempt. Finally this time has come - I ordered Sky-Watcher 10" DOB SynScan from famous German shop http://telescope-express.com. Even with delivery and customs taxes it was cheaper than in local stores. 10" was selected as largest diameter which could still be used at balcony. Also received TeleVue Delos 3.5mm eyepiece (although this one will be used rarely due to very high magnification, only for the most calm atmosphere), TeleVue Paracorr type 2 (coma corrector), roll of Astrosolar sun filter and 2 H-beta filters (6 and 12nm, from different manufacturers). H-beta (instead of more classical for sun observation H-alpha) was chosen because this is a blue line (486.1nm) - and I believed this will help to achieve better resolution (although this is far from certainty). 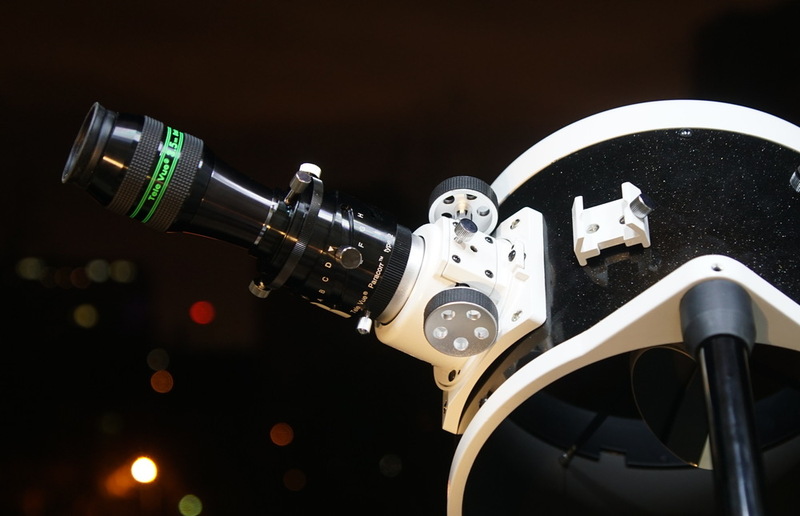 Explore Scientific 8.8mm 82° and low-power GSO SuperView 42mm (for maximum brightness) eyepieces are on the way. Initially I planned to replace main mirror to a F4 one, so that telescope tube is shorter and it is easier to fit at balcony. Unfortunately the mirror I've got from Teleskop Express didn't matched advertised specs (and in fact appeared a bit worse than stock optics). 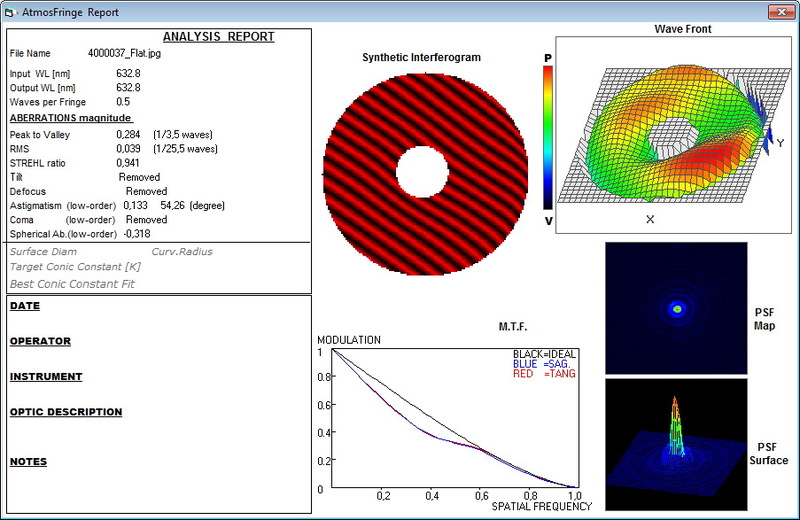 Also figured out how to process interferograms. This mirror was returned to the shop. That was a bit surprising and sad that you have to verify and return that much to get decent astronomical optics. After telescope reassembly - we had to find best mirror angle again to get stock quality (as orientation was not marked at factory). I made 12'000 frames which were sorted by quality and stitched together, but resolution was not improved dramatically. 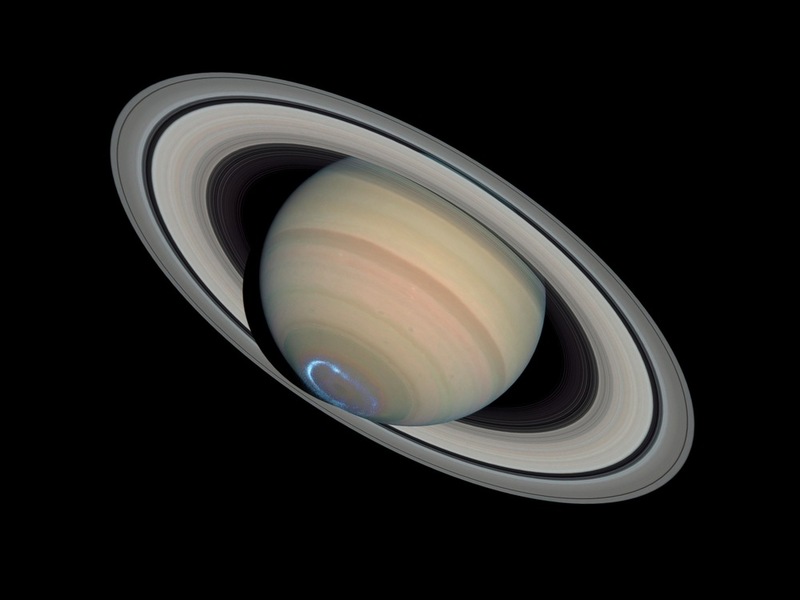 Atmospheric turbulence was very strong, saturn elevation of only 14 degrees only made things worse. On the left - single best frame, on the right - stitched photo. 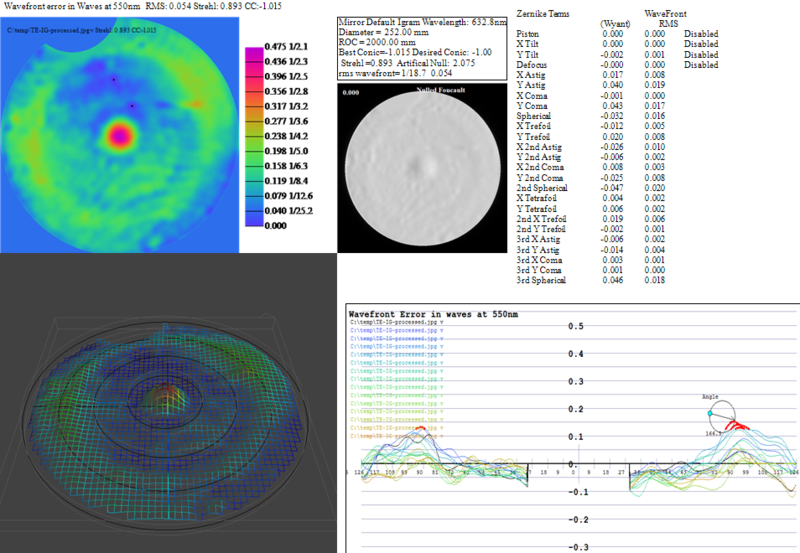 One cannot even see Cassini Division here, so results are matching telescopes with 50-60mm aperture. Just like the situation with microscope - it will take years to learn how to squeeze quality to diffraction limit. In the worst case I will have to limit aperture to ~100mm... Anyway, this starts a very interesting page in my life!